Push - 4K UHD Review - ReDVDit! Push is a 2009 American science fiction action-thriller film that was directed by Paul McGuigan and written by David Bourla. 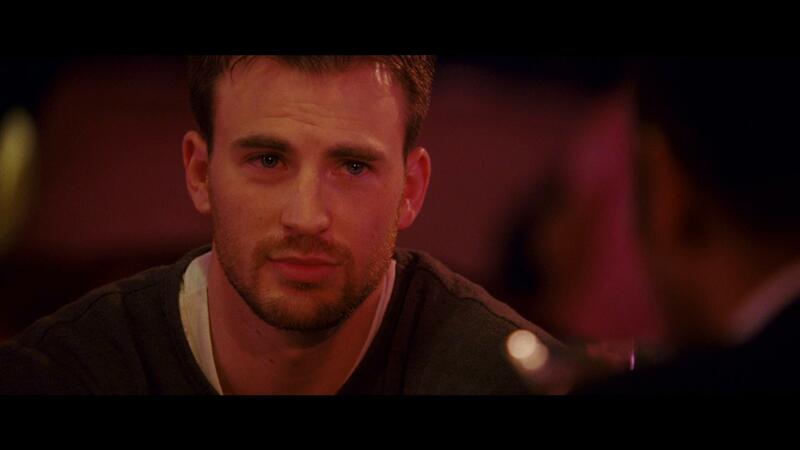 Featuring Chris Evans, Dakota Fanning, Camilla Belle, and Djimon Honsou, the film centers on a group of people who are born with various superhuman abilities who band together in order to take down a government agency that is using a dangerous drug to enhance their powers with the hopes of creating an army of super soldiers. Starting out in 1945, the United States creates the Division, a government agency that is responsible for tracking, capturing, and performing experiments on people who possess psychic abilities, creating an arms race for superhuman powers. Each psychic is categorized into various groups based what powers they have. Decades later, two “movers”, teenager Nick Grant and his father Jonah, hide from Agent Carver, a Division “pusher”. Jonah informs Nick that he had received a vision from a “watcher” about a young girl that he must help to bring down the Division. 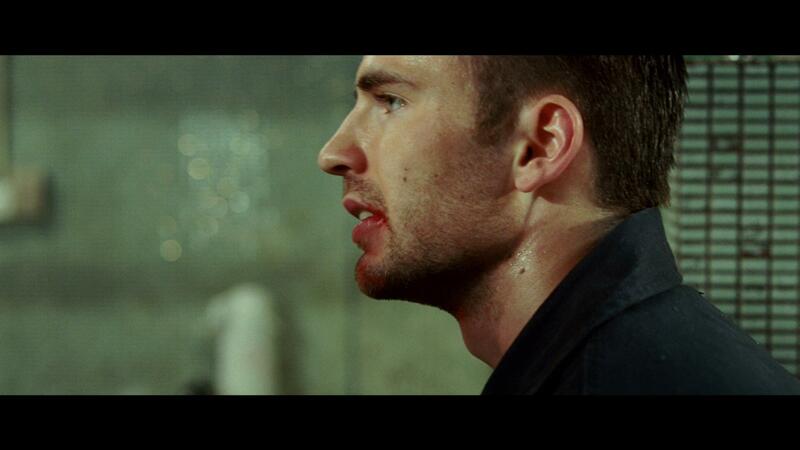 The film was released on February 6, 2009 by Summit Entertainment and Icon Productions. It was considered to be a moderate box office success, though the critical reception from critics was mostly negative. During its opening weekend, the film opened at number six grossing just over $10 million from the 2,313 theaters with an average of $4,358. At the end of its theatrical run, the film grossed just under $49 million worldwide, and just over $16 million in DVD sales in the US alone, making just over $65 million (not including worldwide DVD sales) surpassing its operational budget of $38 million by over $27 million. 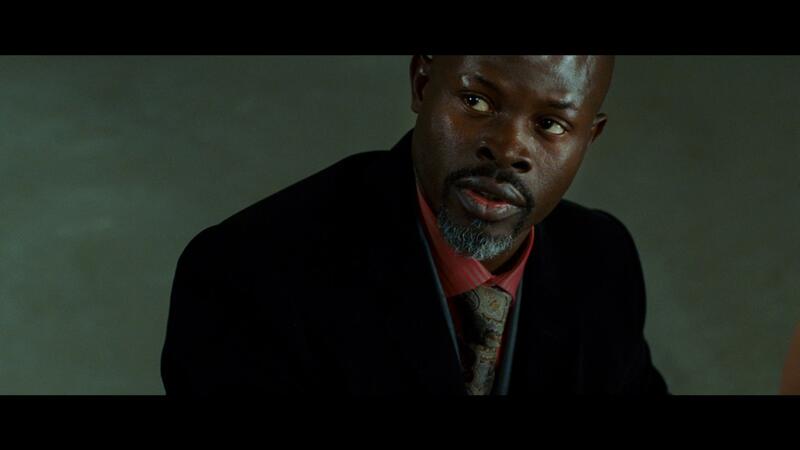 Push is one of those films that are packed to the brim with mindless action sequences surrounded by some pretty decent acting from those involved. However, the extreme abundance of action causes for a pretty difficult storyline to follow along with. Without doing some precursory research before watching this film, I know I would have been pretty lost as this movie progressed. While the majority of Push looked really damn good as it played out across my living room television, there were some pieces that didn’t fare too well with its utilization of HDR. There were some noise elements added to the more action-oriented sequences causing those scenes to not feel all that realistic. Some of the scenes that did much better with this movie were those more scenic elements as they offered a very beautiful view into those areas. 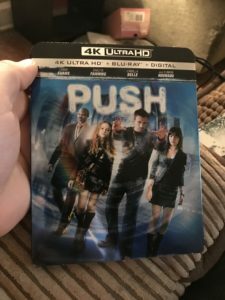 Packaged with an English Dolby Atmos audio track, the 4K UHD release of Push does an absolutely fantastic job at placing its viewers that are able to make use of the technology behind the audio track right into the middle of the action. Emphasizing its use of the surround and elevation channels, this movie provides some pretty intense sequences for its viewers. The musical accompaniment felt rather fitting for the pace of the movie, and the overall dialogue was clean and clear and easily understandable without having to manually adjust the volume levels once. The 4K UHD release of Push comes packaged in your standard dual-disc 4K UHD amaray case. Within that case is the standard 4K UHD copy of the film as well as the standard Blu-ray copy of the film. The UHD disc does feature the same piece of artwork that is featured on the case art, while the Blu-ray copy only bears the standard release text and generic blue background. 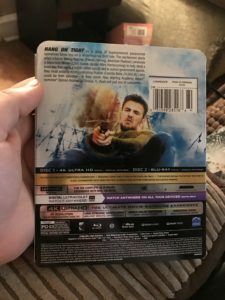 A digital copy redemption pamphlet for streaming options as well as a slipcover that features the same piece of artwork that’s provided on the case art. Overall, I wasn’t too fond of Push. Sure, it’s right up there with a lot of films that were made by Michael Bay in that it is packed full with nothing more than senseless action; I felt that this particular movie had less of a sense of direction than a lot of Bay’s films. The visual presentation was decently done, regardless of the occasional bout of noice during the CGI sequences. The audio track was hands down the best part of this release in that it offers an all out immersive experience for its viewers and does a really great job at putting you right there into the middle of everything. This release, like the upcoming UHD release of Knowing, is one of the few releases that not only include the audio commentary on the UHD disc; but, actually includes more content on the 4K disc. If you’re considering picking this release up, I’d recommend waiting for it to drop below $10 as right now, Push is available for preorder at $17. Push will be released on to 4K UHD tomorrow! Next story My Limited Edition 4K + Blu-Ray Collection!